Infrared data from NASA's Spitzer Space Telescope near the plane of the Milky Way galaxy. Credit: X-ray: NASA/U. of Sydney/G.Anderson et al; IR: NASA/JPL-Caltech. Despite their size, the massive stars of the Milky Way are hard to spot. 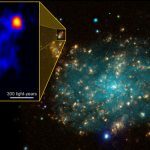 The ChIcAGO (Chasing the Identification of ASCA Galactic Objects) project, led by Gemma Anderson from the University of Sydney, uses the glow from the X-rays produced by these stars to determine their location. These stars can be 50 times heavier than our sun, but, in spite of their size, they are nearly invisible to traditional optical telescopes. By using NASA’s Chandra telescope, scientists have discovered that these massive stars are sources of high levels of X-ray radiation that can be seen through the dust. These massive stars also have winds in excess of 1000 kilometres per second and are known as colliding-wind binaries. The strong winds from the stars collide, resulting in massive shocks and extremely high temperatures up to 100 million degrees. The project can also identify another stage of the star’s life cycle- the remnants of a supernova. Scientists watch supernova occurring in other galaxies in our universe but the Milky Way seems to be quiet on this front. 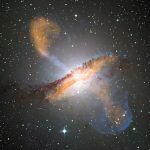 By finding supernova remnants they can begin to learn how may stars have exploded in our own Galaxy.